One advantage to coming to UIWRSO is the excellent faculty who teach here. Many are involved in their own private practices, work outside of the facility, and even have their own businesses. One such former faculty member is Catherine Awad Amani, OD, MPH. Dr. Awad Amani, her husband (Mustafa Amani, MD) and her brother-in-law (Hamed Amani, MD FACS) all founded Amani Ocular Staffing. 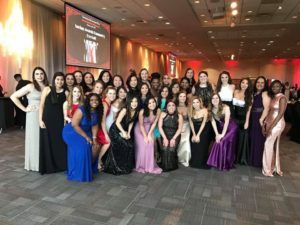 I wanted to share their website with you all, as it is something I visit frequently as my optometry school career is coming to a close! 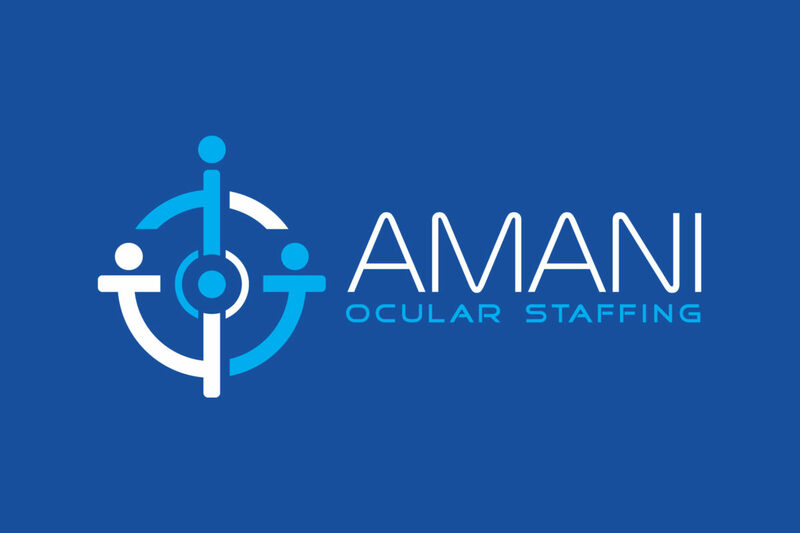 Amani Ocular Staffing is a website designed for ODs, opticians, optometric/ophthalmic technicians, and general office staff looking for jobs, as well as employers who are looking for positions to fill, whether they be temporary or permanent. It is an innovative approach to how people find and fill job vacancies by helping both to find matches to their perfect positions and employees. Amani Ocular Staffing “provides the removal of the middleman” which helps both employer and job seeker find what they are looking for more easily and efficiently. I first learned about Amani Ocular Staffing at a career fair we had at UIWRSO. The idea of our own professor helping us to find jobs was such a great idea. 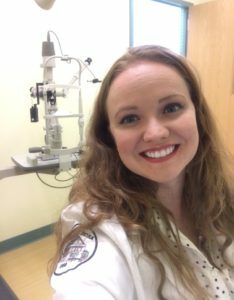 Who better to help students find an OD career than an optometrist we trust and work with daily? She explained to the crowd around her booth that their aim and number one goal is to make sure we become successful and gain the employment opportunities we are seeking and deserve. This is a win-win situation for job seekers and prospective employees. She then went into more detail about how it works. Job Seekers (such as current ODs or students who are approaching graduation) go onto the website www.amaniocular.com and click join. You simply have to put in your name, email, create a password, and you can now search for jobs. Dr. Awad Amani suggests completing your profile by adding your education, credentials, licenses, etc. so that potential employers can seek you out! There is never a fee to search job seekers to look for jobs or gain employment, which is great for us, as students! Employers have a similar set-up in which they are able to post positions for temporary or permanent jobs. They can also post exactly what they are looking for including “Job Seeker rank, skill set, background, region of interest and much more.” Employers get the first three matches for free! After that, a reasonable fee comes with each position filled and is based off the nature of the position (OD, office staff, etc.). One aspect that I find very helpful is the fact that you can “rate” the business you worked for once you have completed the job, and employers can do the same for you! It would be nice to be recognized for all your hard work and dedication to the job and have that help for the next time you are seeking a position. Navigating through the website myself, I found that it was very easy to find what I was looking for. I am already looking at the website frequently, especially as graduation is around the corner for me as a fourth year. One other thing I really like about the website is the fact that they are connected to social media. At the top of their website you can find links for Facebook, Twitter, Linked-In, Google+ and Instagram. 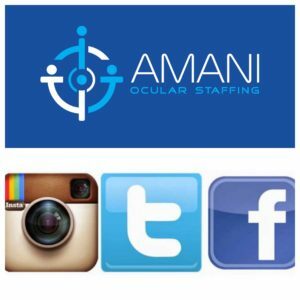 The doctors of Amani Ocular Staffing like to post updates on where they are and how to get more involved with getting the job of your dreams! I highly encourage all current ODs, 3rd and 4th year students (from all schools), technicians, as well as employers to check out the website and see what jobs or employees await you. As I mentioned, UIWRSO is a facility booming with talented faculty, and Dr. Awad Amani’s teaching and business is just one such example! My optometry school career is coming to a bittersweet end. I am finally in my fourth year at UIWRSO which means a number of things: going on externships, taking part 2 and 3 of NBEO Boards, and saying goodbye to a lot of friends! 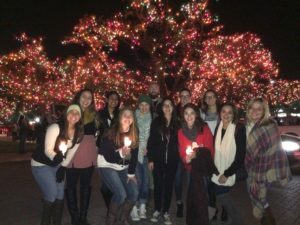 You guys have been a part of most of my journey, and I will continue writing this year, so you can see what a fourth year extern experiences! 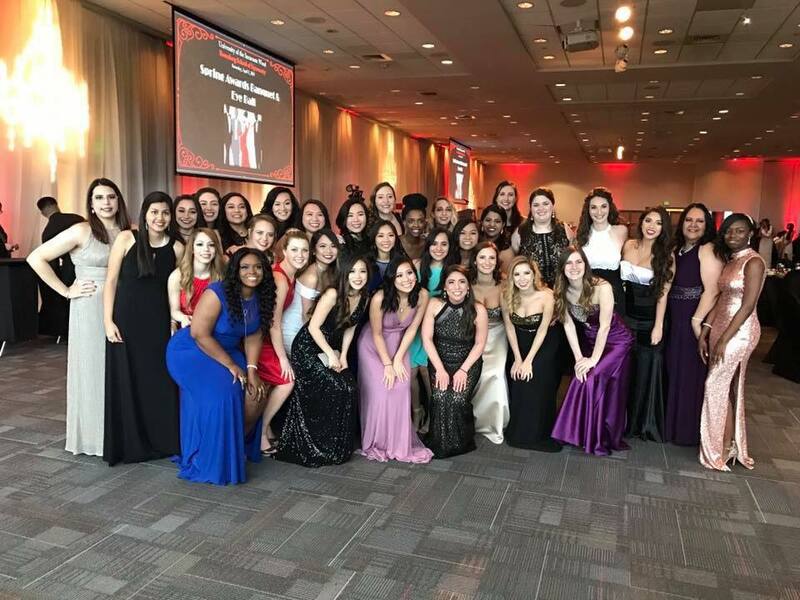 At UIWRSO, students in their fourth year go on to their externship sites to gain more knowledge in optometry, their skills, and network with many other doctors around the country. At the beginning of third year, you get to “choose” your sites based on your rank in the class. You write down your top choices for sites based on your preferences in site (VA hospitals, contact lens/private practice sites, etc.) and the location around the country. I wanted to go to a VA hospital to gain experience in posterior segment, as well as get a taste for private practice, so I chose both as my top choices, and luckily, I got them! You also get to spend a semester at UIWRSO as a fourth year, continuing your education from your third year clinic rotation. I was very nervous to start the first rotation. Going from third year clinic, where you get almost 2 hours for an exam, to a VA hospital where you get about 35-40 minutes for a complete exam, was very intimidating at first. I chose a site where I was the only extern there so I could become more independent. Some sites have room for only 1 extern, while others have the capability of having several (sometimes 7 or 8 depending on other schools’ participation). Clinic started around 9:45am at the third year clinic, now I had to be ready to go by 7:30am for my first patient at my new site! I’m not going to lie; the first few weeks at my rotation were hectic to say the least. I was very intimidated by the amount of patients I saw, my new preceptors, and all the new things I needed to learn at the site. The electronic medical record (EMR) system was very different from RSO’s, but I picked it up quickly. I also had to learn how to cut down on my exam time, which the preceptors helped me with. I also had access to a lot of technology, including OCT and Visual Field testing (which I had in the school clinic), but also new equipment like an anterior segment camera, B-scan, and fundus autofluorescence! It was very exciting to learn about these machines and be able to interpret their scans. During the externship, you also have other responsibilities as a student. You are required to write about 2 cases that you personally saw at the site. You also have a chance to provide feedback to the externship director about your preceptors at the site. It gives you a chance to let them know what more they could do to enhance your learning experience at the site. Your preceptors also do an evaluation of you, indicating what you are strong in and also some areas of weakness and how to improve. It’s a great learning experience. Even though I’m pretty sensitive when it comes to criticism, everything they wrote was true and I took it to heart. By the end of the semester, I’m glad to say, my preceptors thought I improved 100%. It is a good feeling to know your preceptors want you to do well. 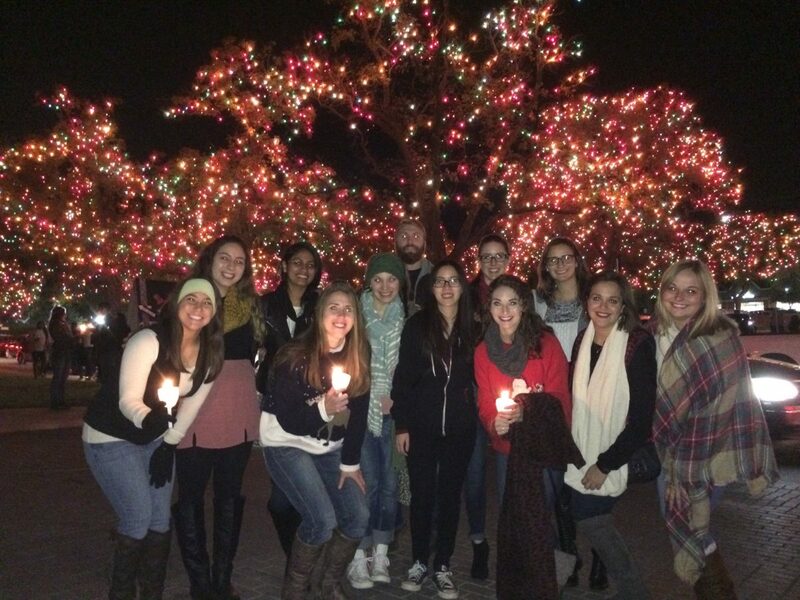 Although I am only finished with my first rotation through my fourth year, I can tell you that I have learned so much more than I thought I ever could. Being in class and learning from a book is one thing, but actually experiencing it and seeing it in a patient, as well as managing it, is another. I have grown leaps and bounds from this first experience, and know I will continue to grow through my next two sites. Stay tuned to hear about those in the near future! 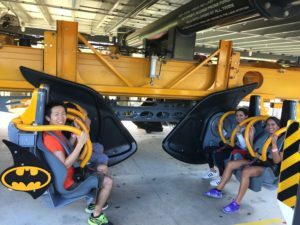 Author Shannon GilbertPosted on September 20, 2016 Categories Shannon GilbertTags Optometric education, Optometry, optometry profession, UIW Rosenberg School of Optometry, University of the Incarnate WordLeave a comment on Fourth Year Begins! Applying and being admitted to optometry school had always been a dream and when I first read the admission acceptance letter, I was overwhelmingly happy, and felt so proud of myself. I made it! I got accepted into my top choice school. Thinking back, that moment was probably the most joyful moment I have ever had. Of course I was excited, but then I started wondering what it would be like in San Antonio, how I could survive in a professional school knowing that it is very challenging and demanding, and how my life had turned to a whole new chapter. With those thoughts in my mind, my feelings of excitement turned to nervousness as I prepared to enter into UIWRSO. I sit here now thinking how first semester has passed so quickly, though as I reflect on the last few months, I realize one of the more memorable aspects of the first semester was probably orientation. After first arriving, I got to meet the staff and faculty, as well as my future classmates, learn about the history of the school, tour the facility, and many more activities. Honestly, everything felt pretty overwhelming at first, but the atmosphere the staff and faculty here at UIWRSO created for us was very welcoming and caring, which I greatly appreciated. If I were asked how would I describe my first day of class? My answer would be easy, “Constantly getting lost.” I am a first year, after all. This got better throughout the week (and semester), thanks to my classmates who are a lot better at directions than I am. One thing I absolutely love about RSO is how friendly and helpful the people here are. From staff, to faculty, to my classmates, everyone is so nice and is eager to know you and willing to help you to the best of their ability. Throughout the semester, I have found that we all are very supportive of each other and this helps to motivates me to try harder and do my best. 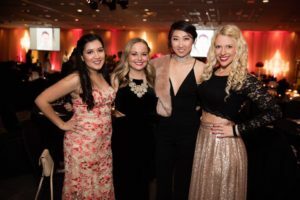 The anxiousness I experienced when I started the program have been replaced by feelings of comfort and reassurance knowing that the faculty, staff, and most importantly my classmates are all very supportive and want to see me succeed. My experience at RSO has been good so far and I am looking forward to the professional growth along with the memories I will create in the upcoming years.